Content is the king of SEO. Without quality content, your website will suffer in Google rankings. Based on a study conducted by Marketing Profs, 72% of businesses believe that content creation is the most effective SEO tactic. In addition, businesses find an increase in their blog traffic up to 2,000% through quality content. The basic unit of content is the keyword. To run a successful SEO campaign, you need to use the right keywords. 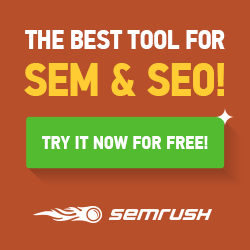 How do we choose the SEO keywords? Now that youâre on Google, try searching for the best keywords for your niche. There are dozens of free SEO keyword generator tools that will help you determine the right keywords to include in your content. Further, there are tools that can count how much specific keywords or phrases are searched within a day. The most popular choices for marketers are Google Keyword Planner, KWFinder, Mozâs Keyword Explorer, and SEMrush. Basically, you have a specific niche or field â business, fashion, fitness, marketing, or Hollywood, for example. List down terms and phrases that are related to your niche. For example in âmarketingâ, you can have related terms including âseoâ, âmarketâ, âprâ, âadvertisementâ, brandâ, etc. Put your feet on the shoes of the searchers. If you want to look for the products and services your business offers, what will you search? Think like the consumer and write all potential keywords and phrases that are most likely to be searched on Google and other search engines. 86% of consumers use Google to look for a business within a certain locality. Thus, it is important that you optimize your content for local searches. Make sure that you include some local keywords, including address, products, people, and other keywords that may relate to the locality. In performing SEO and PPC campaigns, experts suggest using long tail keywords or more specific keywords. For example, if you are selling organic makeup online, the keywords âorganicâ and âmakeupâ would be weak keywords. It is important to specify your content. Instead, use âbuy organic makeup onlineâ to make it more exact and specific. It can also help your content if you repeat strong keywords. But remember, quality is always more important than quantity. Do not overuse keywords for the sake of putting keywords in your content. The goal is to include keywords that sound very natural in the content. For example, if you are selling animal food products, you can repeat the keyword âfoodâ repetitively like âcat food, dog food, bird food, and fish foodâ. Lastly, you can open the website of your competition. The goal is not to duplicate their content, but to check what keywords they use on their landing pages and blog posts. Also, you can do a quick search and check if their websites appear on top of the search engine results. We hope this article helps you. Good luck!